Gorgeous chains like this one are few and far to find. Vintage Lucite is all the rage and has been for years. With double oval links alternating with round single links, you'll not only find this stunning as a vintage collectible, but as a modern accessory as well. We were lucky to find such a treasure at an estate sale. The daughter of the woman who owned indicated that it was from the late 1930s or early 1940s, when Lucite jewelry was new and exciting. 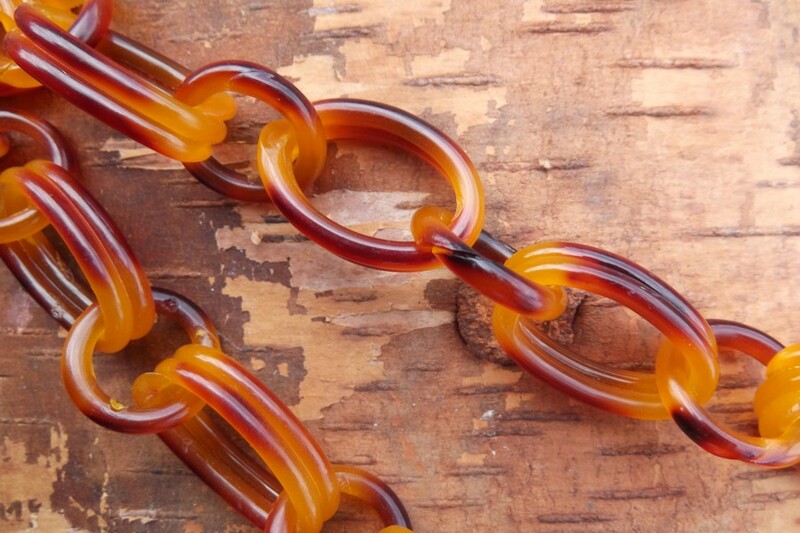 While we've seen similar lucite chains for sale, they pale in comparison with this one. The subtleties of the varied faux turquoise shell grain allow each link to be different. The variegated browns are quite special. Most of the others that we've seen have an orange or red tint. Some others have been incorrectly identified as celluloid as the look and feel are quite the same. Oval links measure approximately 1 inch long by 5/8 inch wide. Circular links are 5/8 inch in diameter. 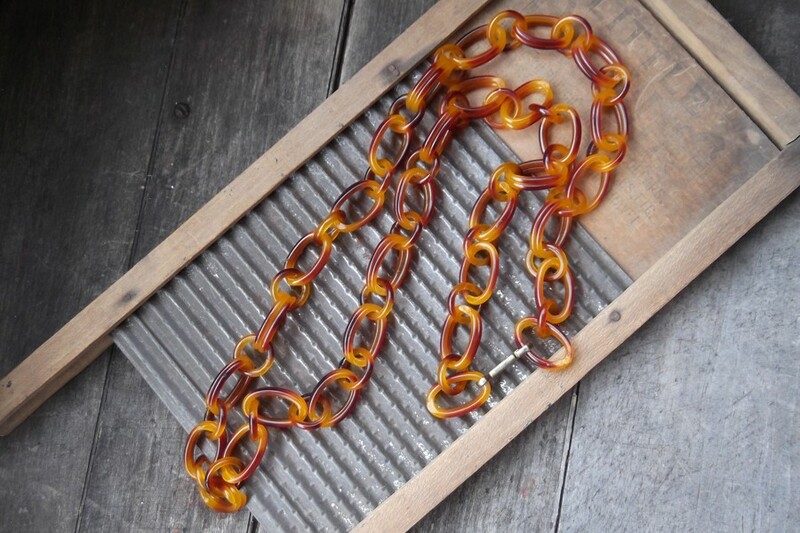 The necklace is 41 inches long, so it will be perfect for a sweater, or under a collar. The clasp is similar to a lanyard hook and is either silver plate or sterling. It is not marked - as with most findings of the day.